Buying used equipment is often a practical solution for any industry and local government. 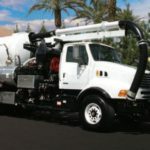 When it comes to keeping city streets and sewer lines clean, for instance, you can look for secondhand street sweepers and used vacuum trucks for sale. This option should help you save your community’s financial resources. Meanwhile, keep in mind that your cleaning equipment will eventually sustain extreme wear and tear, especially if you’re serving a large or calamity-prone city. Expect even greater challenges if the area is typically littered with waste. 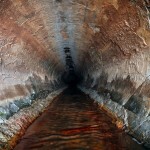 Sewer maintenance can likewise be challenging if you have to deal with substances that are difficult to remove (like the great fat, grease, and oil problem of New York City and other highly urbanized areas). You may always have to deal with flooded streets (and the messy aftermath of floods) if your area is prone to flooding. Before every use, you have to ensure that the fan and intake seals are well lubricated. The springs and flaps of the sweeping head, as well as the broom linkages, must also be aligned and adjusted properly. Never ignore vibrations that may signal loose bolts or misaligned belts that need to be fixed. 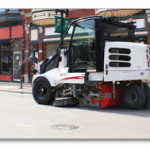 Given the range of factors to consider, use your sweeper’s manual to promptly detect and fine-tune common inefficiencies in the sweeper unit and the chassis. 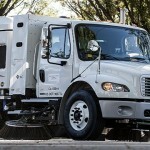 A lot of the daily upkeep for vacuum trucks resembles that of other vehicles, e.g. checking fluids, brakes, filters, belts, electrical systems, and other mechanical parts. Keep an eye out for clogged or leaking hoses, inefficient vacuum operation and relief valves, and unemptied drains. Be sure to clean the debris body every month. 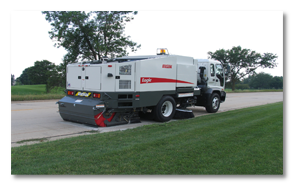 Once your equipment reaches its maximum lifespan and fails to operate as efficiently as before, you’ll need the kind of quality replacements distributors like Haaker Equipment Company have to offer. 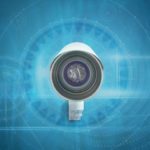 You can then explore alternatives like renting or leasing, which leave the bulk of maintenance tasks to the supplier.